Teachers College Press, 9780807759226, 192pp. This groundbreaking volume encourages today's educational leaders to reposition the way they think about leadership and its challenges. Experienced school and district leaders reveal how they conceptualize their roles, how they learn by posing and solving problems of practice, and how they cope with increasing expectations and complexity in their work. This compilation of compelling narratives demonstrates the power and efficacy of what can happen when school, district, and other educational leaders position themselves as inquirers, bringing forth broader social justice and equity implications. Readers see how leadership can illuminate and improve many aspects of institutional life and create intellectually demanding and rich learning environments for both adults and children. 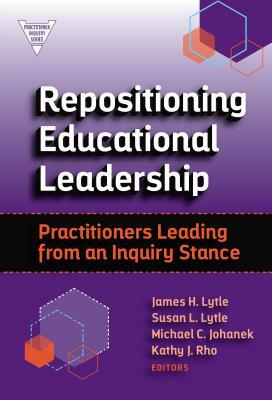 At its heart, Repositioning Educational Leadership is an invitation to practitioners and scholars to make space for new critical questions and perspectives. This book nurtures an expanded discourse about leadership, generated by leaders themselves, and arising from some of the most vexing and often invisible aspects of their important work.